As I grow older I am more and more aware of the diminishing power of my brain. Grasping the constantly changing of technology is proving an arduous task. At the urging of the family my husband purchased an iPad, Woe is me, I thought. I now have to learn how to sweep my finger across the screen just as I have mastered the mouse for our desktop computer. So when our local paper had a supplement enclosed just for seniors, I opened it with great expectation to an article entitled “How to Enrich Your Brain” I was a little disappointed at their suggestions. I was hoping to read of some marvelous instant remedy to recharge brain cells. What I did find interesting was their use of the word, “enrich”. It did imply that if something was lacking or if there was a paucity of a substance or if gaps needed to be filled, help was at hand. I then began to speculate on how we use the word, “enrich”. We talk about an enriching experience. We can remark on an enriching seminar in which we have just taken part. We can think of a person who enriched our lives just by becoming part of our community. I then went to the dictionary and was pleased to find one of the meanings to be, “to heighten” and best of all the last definition of the word enrichment was, “mental or spiritual wealth” I decided to explore what “spiritual wealth” meant for those who belong to the Lord. 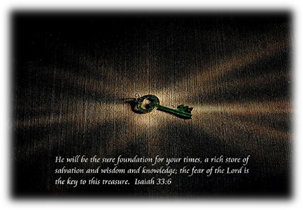 Isaiah assures us that true treasure is found in the knowledge of the Father. Sometimes we need to check that our supply of love for others is not depleted. Perhaps our gracefulness in our everyday life is lacking in how we treat our loved ones. How merciful are we when we come across those less fortunate than us? Do we need enriching? We will be blessed for the asking. Perhaps we are the needy ones and we ourselves are wounded and need an outpouring of love for our healing. Perhaps we need to be comforted by his grace when we stumble. Perhaps we have forgotten how abundant his mercy is. Do we need enriching? 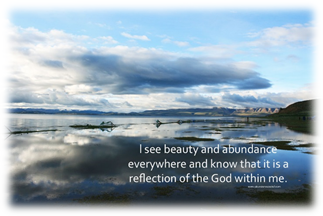 We too have access to his glorious riches. 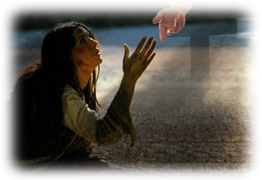 His bounteous store of riches is available to all who call on his name. His generosity has no bounds his spiritual wealth is waiting and the key to this treasure is knowing the Lord Jesus Christ. Beautifully written once again Jo! How blessed we are to be so loved. Thanks, Jo. No pun, but that was enriching. As you say, enrichment in Christ is there for us all the time. Amen – what a great message! Many blessings to you!